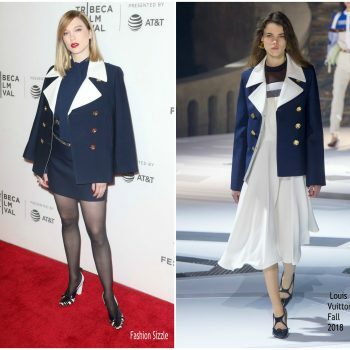 Lea Seydoux was in attendance at the ‘Isle of Dogs’ premiere at the Cinema Gaumont Capucine on Tuesday (April 3) in Paris, France. 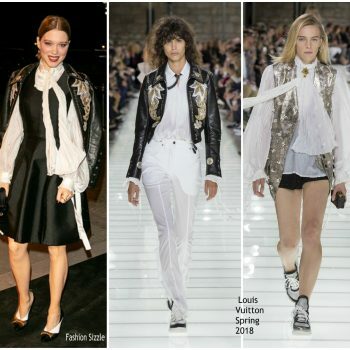 She wore a Louis Vuitton Louis Vuitton clutch. 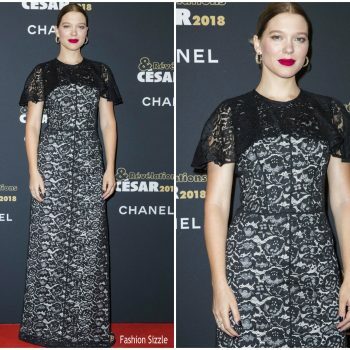 Léa Seydoux was in attendance at the ‘Cesar – Revelations 2018’ Party at Le Petit Palais on January 15, 2018 in Paris, France.'' 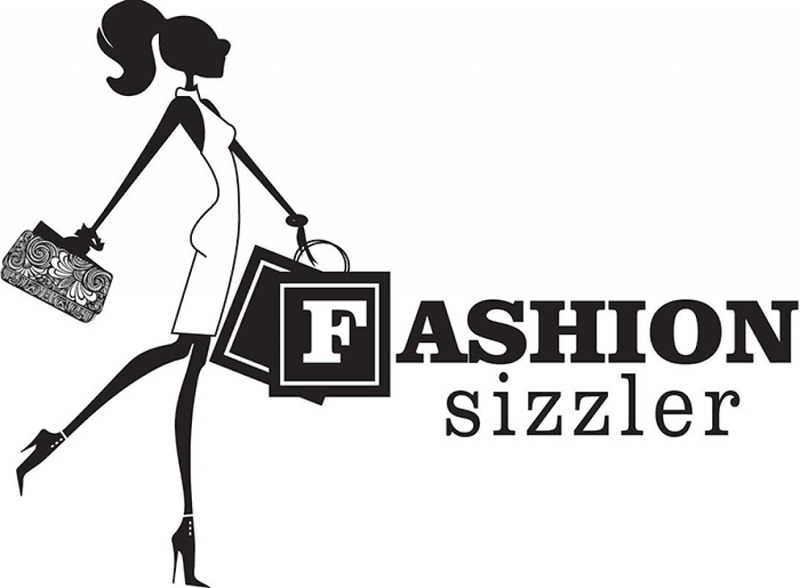 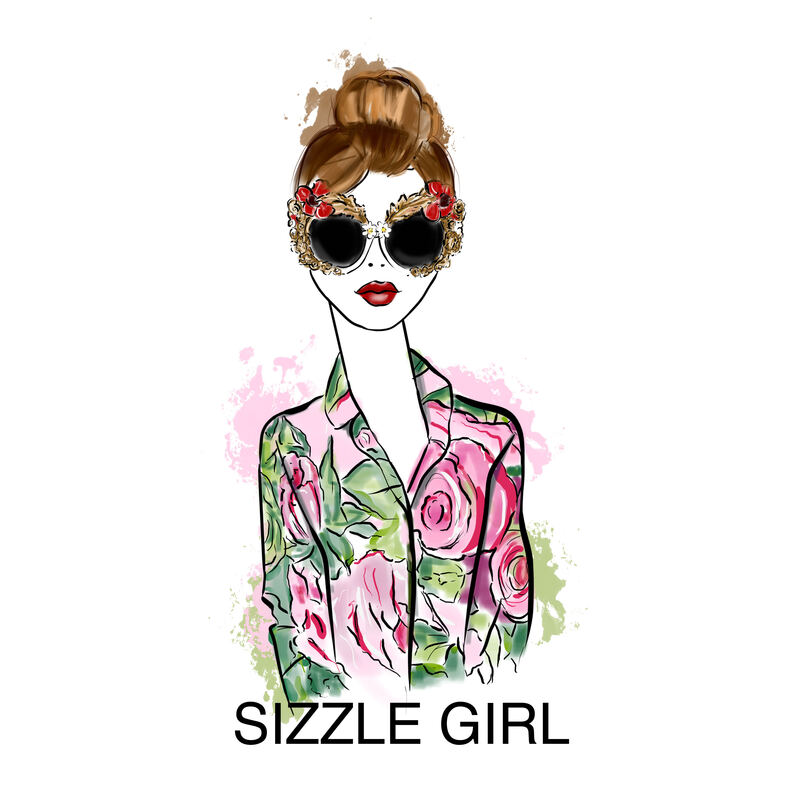 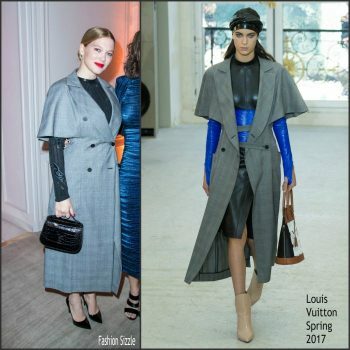 She wore a Louis Vuitton dress. 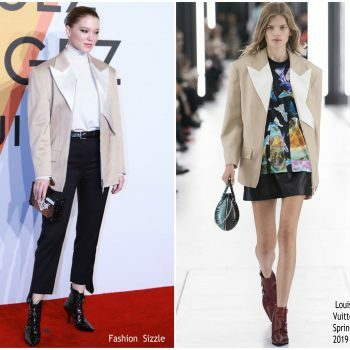 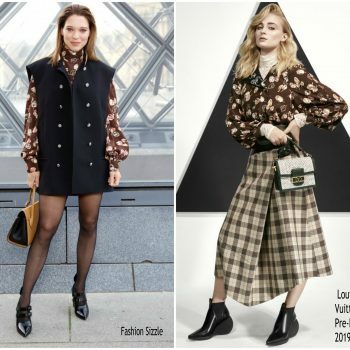 An Evening Honoring Louis Vuitton and Nicolas Ghesquière Sophia Turner in a Louis Vuitton Spring 2018 design including a embroidered tail coat Ruth Negga in Louis Vuitton Nicole Kidman is wearing a black sheer Louis Vuitton Spring 2018 dress. 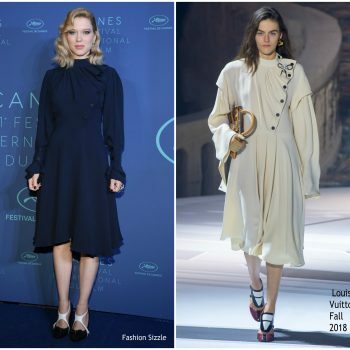 Lea Seydoux and Marion Cotillard were in attendance at Choppard Dinner Du Cinema Celebrating Cannes Film Festival Lea wore a Louis Vuitton Spring 2017 coat dress styled with black pumps and bag..
Lea Seydoux attends the 'It's Only The End Of The World (Juste La Fin Du Monde)' Photocall and Premiere during the 69th annual Cannes Film Festival in Cannes, France. 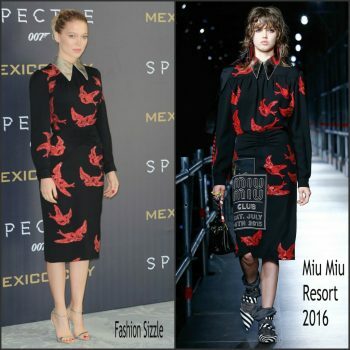 Léa Seydoux attended the The 6th Biennial UNICEF Ball at the Beverly Wilshire Four Seasons Hotel on January 12, 2016 in Beverly Hills, California.